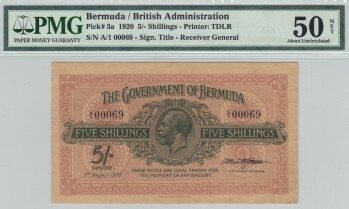 Our paper money section starts out with a rarity from Bermuda. 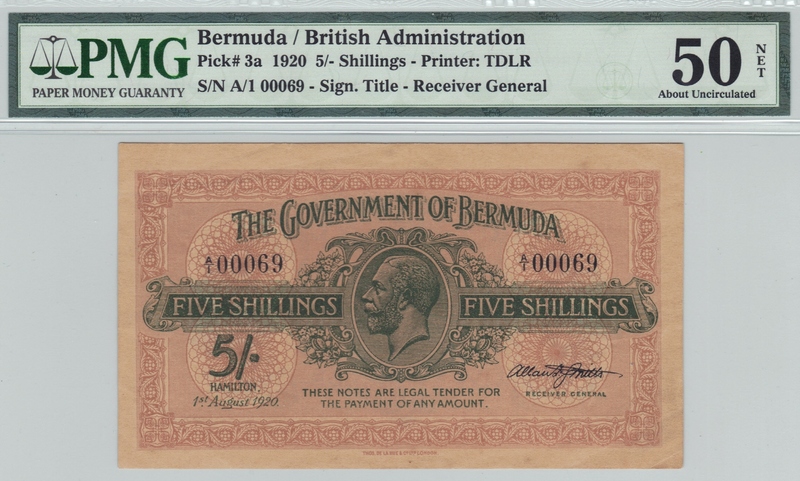 These five shillings notes were the first in Bermuda to feature a portrait of King George V. This happens to be the highest graded note of only three that have been certified by PMG. 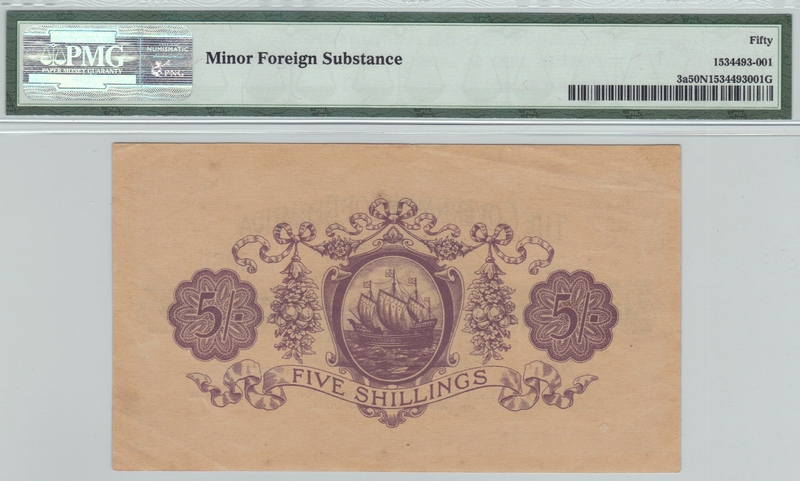 PMG does mention "minor foreign substance," but that does little to offset the overall appeal of this early piece of Bermuda's financial history. It is even complete with the low and fancy serial number 00069. 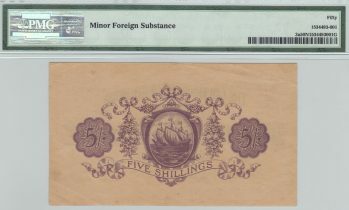 The standard price guide does not value a note in a grade higher than XF. Our estimate here could likely be quite conservative as chances to buy the best of the British Commonwealth are few and far between.